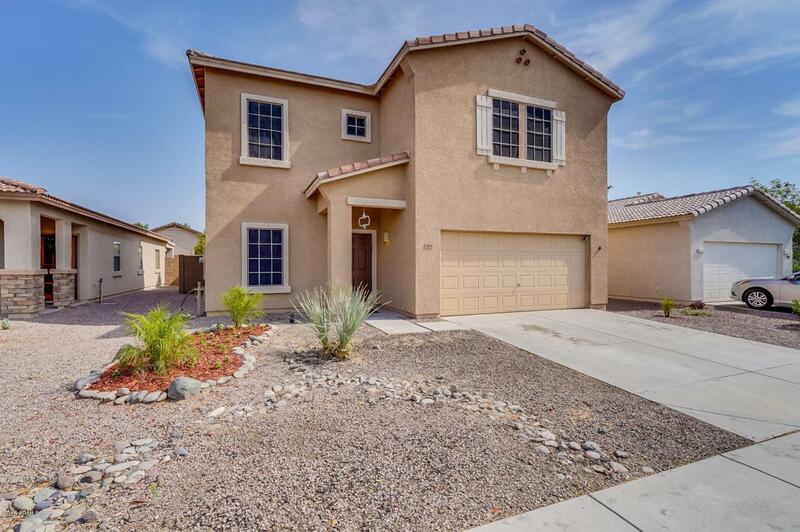 You'll love this spacious 2 story, 4 bedroom 2.5 bath home in Surprise Farms. Great kid-friendly neighborhood. 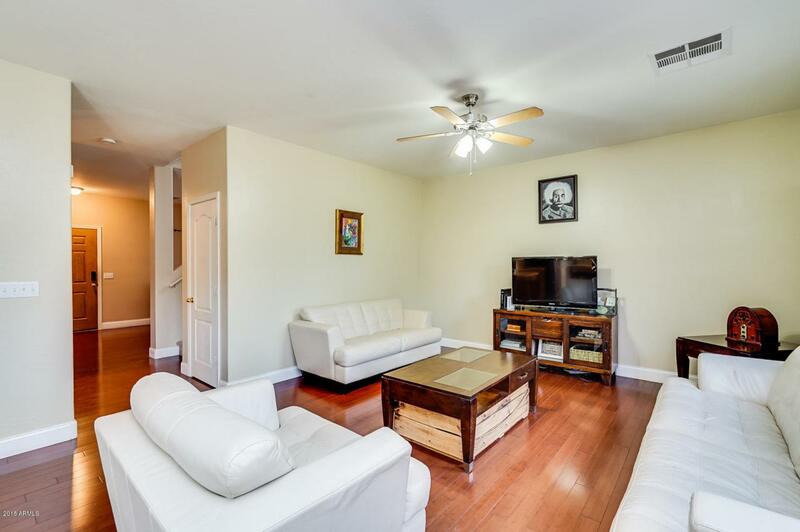 Roomy open floor plan with 2 living areas and an open concept kitchen/family room. 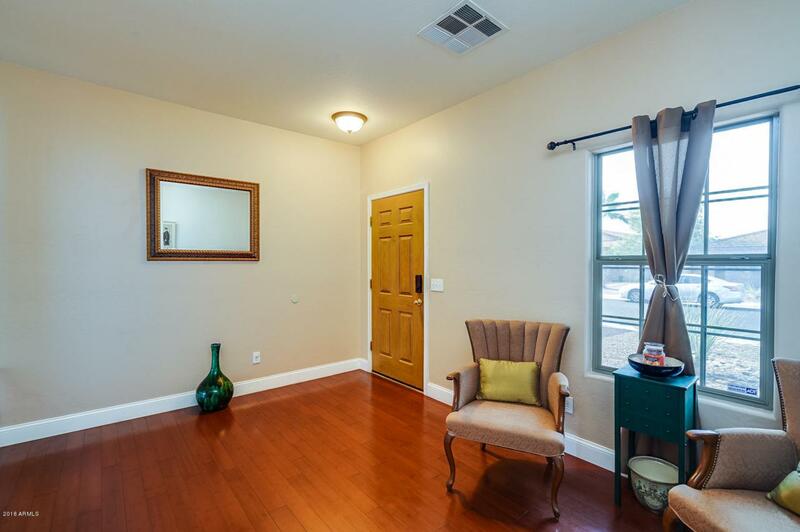 Beautiful wood flooring throughout the entire first floor. Owner has transformed one of the bedrooms into an awesome lofted bed area with stairs leading up to it and a fun play area underneath - a kids DREAM room. The backyard has been revamped by this owner with a beautiful grassy area, and hearty desert plants. The yard is plenty big enough to ad a pool if you like. The seller also added lots of storage in the laundry room/pantry. Tons of storage! The home has LEASED SOLAR which saves on the hot summer electric bills substantially. 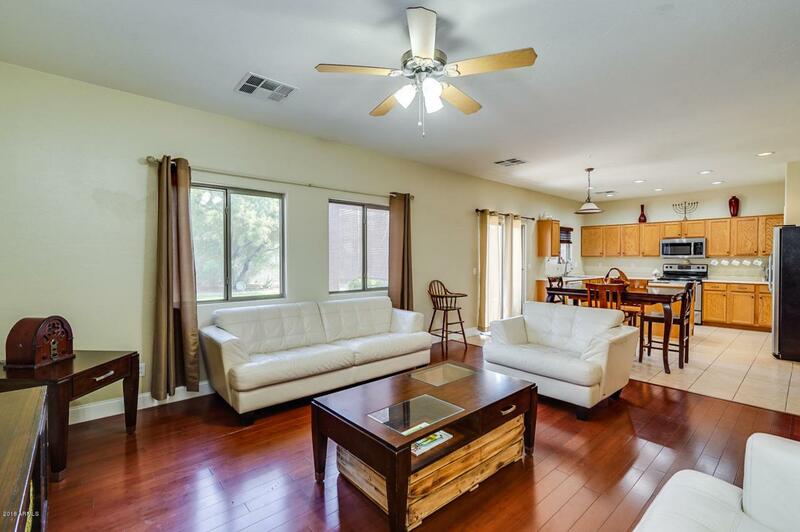 Come see this wonderful home today!